SCRAP WITH JULES: Lazy DAYS!!!! As the title says "Lazy Days" that's what I have had this weekend! It is the start of the school holidays this weekend & I love the fact that there is NO routine for the most of it. How scary is that! How fast has that first term of school gone! So much has happened in that term too & it has just whizzed by. MY next page is a FAVE photo of my D.S. (I am sure that I have scrapped it before) BUT I thought that it worked perfectly with the BRAND SPANKIN NEW "Static" range from 'Crate'! 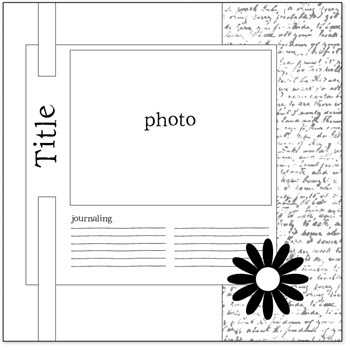 I love the range & can't wait to attack the rest of the papers that I picked up from SCRAPSIDAISY yesterday. 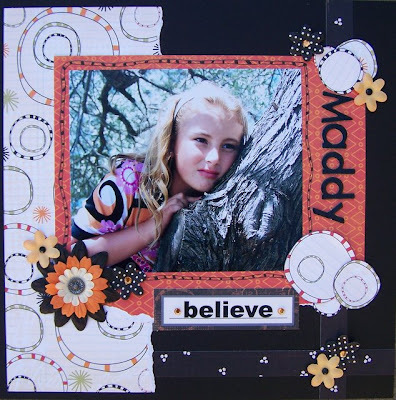 I used the "Scenic Route" 'Salem' paper range for this one & added a few Making Memories blossoms. Well that's enough raving from me. Be sure to enjoy your week. I TOTALLY LOVE ALL YOUR NEWBIE LO'S JULES! THE CRATE PAPER LOOKS AWESOME,I CANT WAIT TO DIG INTO MINE! You have been busy Jules, they are all great LO's, I love how you have used the october afternoon papers, very clever!!!! Jules, you ALWAYS use the most amazing papers! I love your layouts! FANTASTIC! These are all gorgeous. I think my favorite is the middle one with all the blue. Although the bottom one has a nice "punch" of color that draws me to it too. Very pretty! 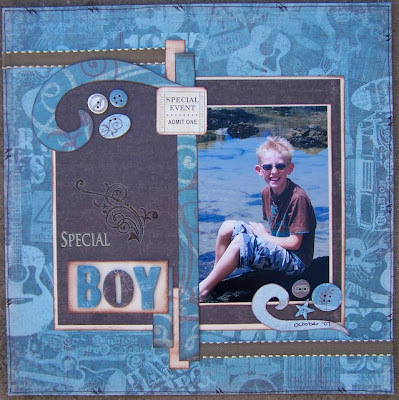 I love the layout of your son best. Awesome work! very pretty LO, great job ! Wonderful LO!! Your kids are so photogenic. wow, I love all these pages. They are amazing. 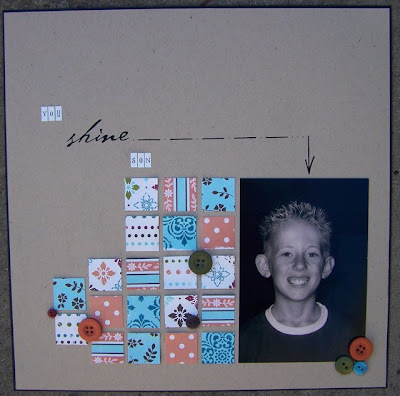 I especially love how you used the small squares on your layout ... what a great idea!!! Thanks for sharing. These are awesome, as usual Jules. Hope the holidays haven't been too hard on you. We go back this week and it has been a blast. Your layouts are great!!! Your kids are very photogenic!! !